Its a bad day for Zimbabwe and entertainment industry across the globe. Legendary musician, Dr Oliver Mtukudzi who flew the Zimbabwean flag high has sadly passed on. 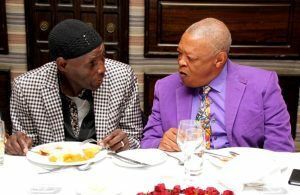 Ironically this is exactly a year after his friend Bra Hugh Masekela a South African legend passed on – two close friends passing on exactly a year apart on the same date.